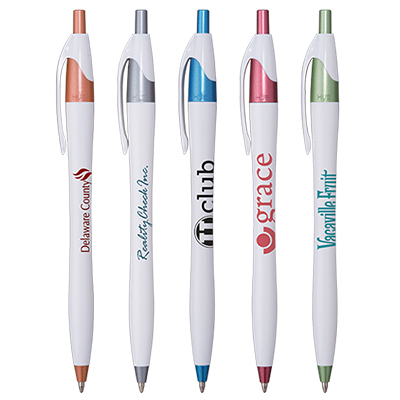 This set of custom Calliope Pen is one of our hot promotional items. 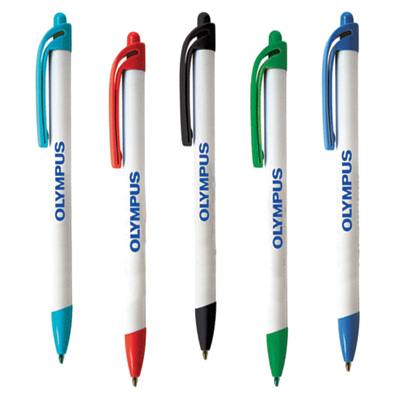 The slim plastic barrel has a colored tip and clip which add to the funky design. This makes your brand logo stand out more attractive and appealing. 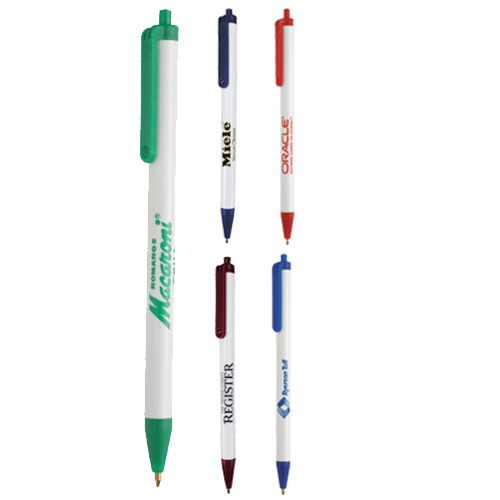 These corporate promotional pens are a great option if you are looking for something affordable and yet impactful. 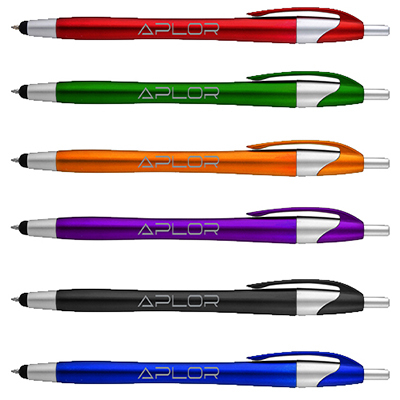 Take a pick from a range of colors available. 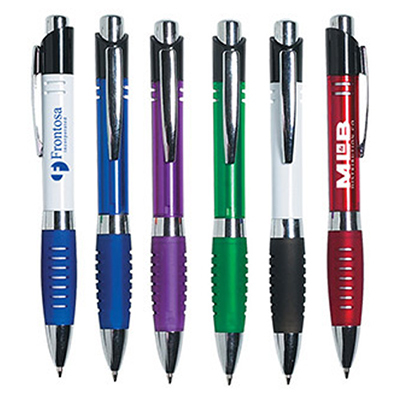 "These pens made awesome gifts for our customers. The logo looked neat as well. " FREE 24 Hour Service. Colored clip, tip and plunger!